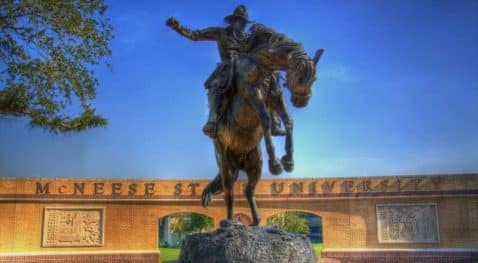 For eight consecutive years, McNeese has received national recognition as one of the best regional universities and one of the top public universities by U.S. News and World Report. We are also consistently ranked in Tier One in the Best Regional Universities-South category. We’re excited that you’re considering furthering your education at McNeese State University! With over 100 student organizations on campus, everyone can find a way to explore their passions outside of the classroom. Our programs are nationally ranked, fully accredited, and feature some of the top educators in the nation. McNeese State University seeks to strengthen the value of student academic achievement by fostering a learning environment which is based on honesty, respect, fairness, responsibility, and excellence.